November 22, 2010 - GCAD and CNFA-Georgia initiated partnership between each other. GCAD and CNFA-Georgia initiated partnership between each other to hold guest lectures for the participant students of "Strengthening Higher Agribusiness Education in Georgia" project. 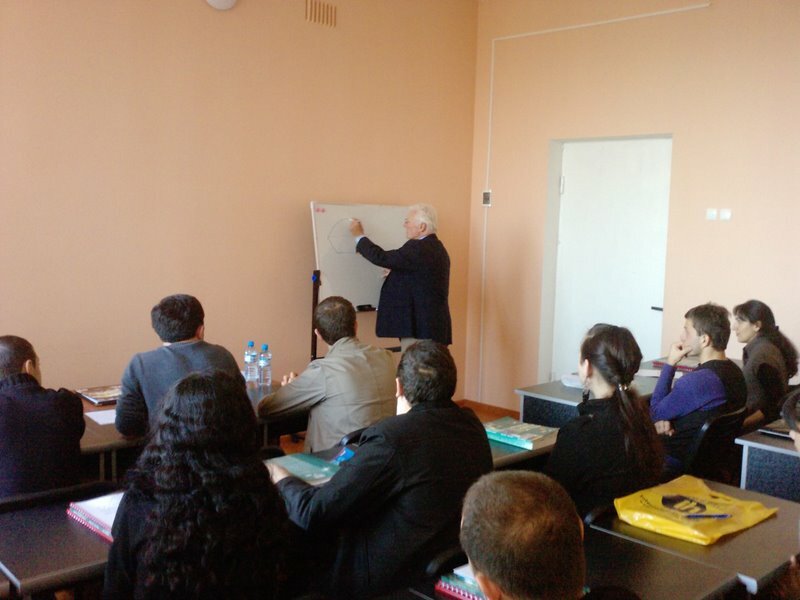 Under the partnership Dr. Roger L. Dreyer delivered lecture to Georgian State Agrarian University students about meat industry. Dr. Dreyer is the visiting professor invited in Georgia by CNFA-Georgia under the project "Farmer to Farmer", which claims Georgian meet industry development. Within this project he investigated Georgian market in above mentioned field, provided his thoughts to GSAU students about Georgian meet industry and shared his experience aggregated from several decades of his international job involvements.